Are you getting low frame rate or FPS in games? 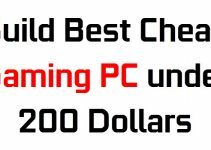 If yes then you are at the perfectly right place because here I am going to tell you on how you can increase the frame rates or performance of your PC games. FPS or Frame Rate is the number of frames rendered per second on your monitor by the graphics card. PC gaming cannot be enjoyed if there is too much lagging or lower frame rates. To eliminate lag you should get at least minimum lag free fps. For a lag free gameplay you should get at least 30 fps or frames per second. It is the bare minimum fps number for a decent gameplay. For super smooth gaming and absolutely lag free gaming 60 fps is recommended. You can have god like gaming experience at 60 frames per second or higher. In-Game Console Commands – Some PC games have inbuilt console or command line interface where you can type in various specified commands for different results. You can also get the in-game live fps counter using the fps command for that particular game. For example, in Half Life 2 you can invoke the command console and type in cl_showfps 2 command to display the FPS counter on the game screen. Not every game has the command console especially the latest games so for them you can use the next method mentioned below to know the FPS count of any game. 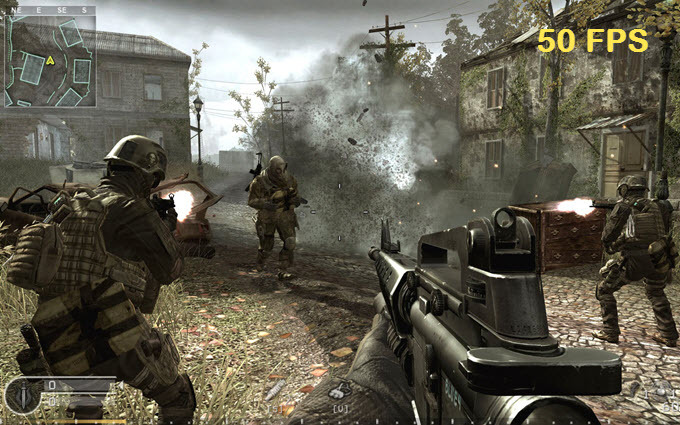 Using Third Party Softwares – Using third party realtime benchmarking softwares you can measure the FPS and record realtime video in games. There are some very good game benchmarking softwares for Windows such as Fraps, Bandicam and MSI Afterburner. 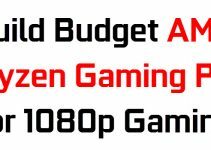 Fraps and Bandicam are mainly game FPS and video recording softwares while MSI Afterburner is a very popular graphics card overclocking software than can measure FPS as well. Must Read: How to Find out whether you can Run this Game? Here are the top performance tips and tweaks that you can try to increase the FPS or performance in your games. Using these tips you can definitely get a decent jump in your games frame rates. The first thing to do is to overclock graphics card. Overclocking a graphics card will increase its performance and thus it leads to higher FPS. Overclocking a graphics card is a technical procedure that involves some thinking and testing. 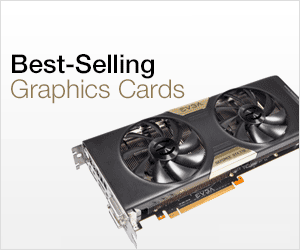 You can use good graphics card overclocking tools such as EVGA Precision, MSI Afterburner etc. to overclock the graphics card. Below is a guide on overclocking a graphics card for getting maximum performance out of it. It is always recommended to update the video or graphics card drivers to the latest ones. Latest video drivers often contain bug fixes, support for latest games and performance enhancements. The amount of FPS increase in game from latest drivers varies as it can be a decent increment or average to none in some cases. 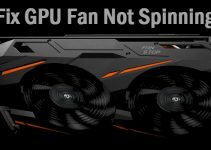 Here the only thing to keep in mind is that you must always download the drivers from the GPU chipset official website only. Here below are the official drivers download links for both Nvidia and AMD / ATI. You can use Display Driver Uninstaller or DDU to completely uninstall graphics card drivers from your PC. You can turn down the game graphics settings or options to increase FPS to a significant level. Disable the Anti-aliasing (AA) because it is the most resource intensive feature in the games. You can lower down resolution from 1080p to 720p and turn down settings for textures, graphics detail, HDR effect, motion blur, shadows, water, anisotropic filtering or other settings based on the game. There is a sharp increase in the FPS when you lower down graphics settings but you may loose some of the eye candy in the game. If the game is poorly optimized then the game manufacturers do release patches for it as to increase performance and fix bugs. Download the game patches whenever released and apply them. There is a good possibility that you get a decent FPS boost after applying patches but it depends on game to game. Also you must keep your operating system up to date by applying the OS service packs and patches time to time. When playing a game you should turn the unwanted background applications and services. I also recommend that you turn off the antivirus when playing any game. Well if all of the above suggestions fail then it means you have to upgrade your computer hardware that mainly includes graphics card, processor and memory. If you have a good processor but a weak graphics card then you should upgrade your graphics card only and if you have a good graphics card but a weak dual core processor then you should buy a good quad-core (or higher) processor. For memory you should have at least 8GB RAM for running latest games at high settings. How much RAM do you need for Games? Well at the end I would like to say that I have listed down all the important things that you can do to increase FPS in games. If you have any queries then you can ask me leaving a comment below.